Love that gorgeous salad Dennis! No wonder your on Top today!! 😉 Congrats my friend! Those glasses are adorable too. I have such a fetish for tableware *sigh* Feel like running out and buying more just cos you're glasses are so pretty! That salad is drop dead gorgeous. Congrats on top 9! So very deserving. Glad we are foodie friends. Gorgeous dishes Dennis! 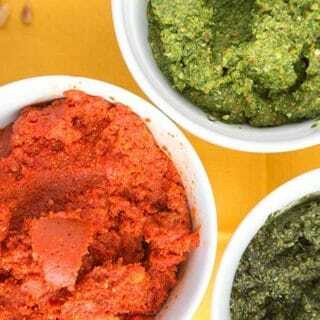 Brillaint idea of using a dressing to bake and those tomato basil muffins, oh my, I want some! Great job with the muffins. Way to think out of the box. I can appreciate that! Also since it's about 1000 F in Miami we could certianly use a round or two of those drinks. I would never have thought to put salad dressing in a muffin – genius! I wish I could bite into that tomato basil muffin… yum! 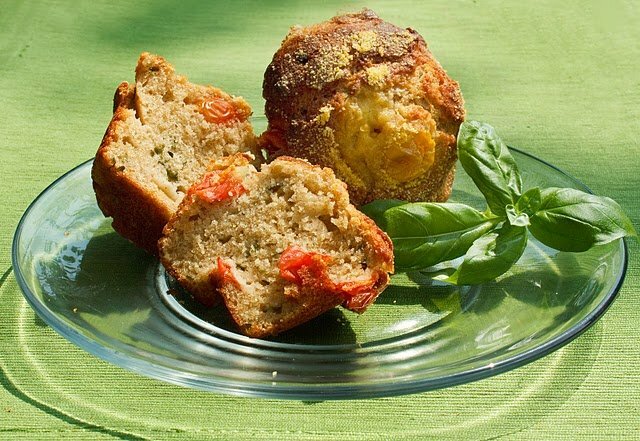 Seriously, the Tomato and Basil Muffin sounds amazing. Two of my favorite ingredients. Great post. Dennis…what I enjoy most about you is how enthusiastically creative you get with just a little inspiration to kick start such wonderful preparations. I especially will want to try making those tomato muffins. holy smokes! how do you take pictures like that? i guess i should get a better camera! love your presentation Chef Dennis. I got a lot to learn from you!! I'm gonna add you on my blogroll friend list. feel free to do the same. PS: enjoy your lovely weekend! First, I'm jealous you get dressings delivered to me, I only get bills! Next, very interesting uses for the dressings- muffins. You know what could be fun, using the balsamic dressing in strawberry cake, the flavors are so nice! So much fun to be had with that. Thanks for sharing! Love the sound (and look!) of those muffins! Really love the creativity! I've never had a savory muffin before and now I'm intrigued! Have a great weekend! All these recipes look so fresh and delicious! And what a great idea to use dressing in those muffins! Never thought to put pistachios on a salad, sounds great and love the muffins! Salad and muffins both look fantastic. Salad dressing in muffins. Dennis, you are so creative! Yum, savory muffins, I think that is pretty creative to use the dressings in muffins, great job! Bravo once again chef! While the salad dressings are great, personally I was hoping that your give away was a free set of classes with you! However, my first thoughts would be a wine cake using the Champagne dressing, a marinade with some fresh garden herbs and the Creamy Balsamic dressing for grilled chicken, and some kind of rustic apple tart with the Apple Poppy Seed dressing. But that's just off the top of my head. I never think of making savory muffins…yours are spectacular! Thanks for the ideas. 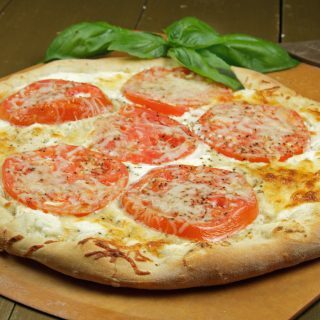 I love savory muffins, and the tomato basil – wow! I'm emailing you my idea, too. The salad looks fantastic, but the muffins…oh, the muffins! I could eat several of each in one sitting! Now I know why they chose you to send their salad dressing to. You do come up with interesting ways to create a gem; looks good! What a clever idea to use the Girard dressings in your muffin-baking, Dennis! I've done some savory muffins here and there…mostly sage or other herbs, but it never would have occurred to me to use salad dressings. Sounds (and looks) great to me! I have hard time to choose what I want…I hope I didn't sound too greedy to want all of them! They look scrumptious! those muffins are ingenious! you've shown quite an array of tasty food here, dennis–bravo! what a coincidence..I've just made and posted Mimosa salad although I've translated it to white salad…I just love the American muffins that you can put anything in them…I done muffins with a scoop of pesto in the middle and a cube of mozzarela….delicious…. And those muffins look great. I can imagine the taste of that peach mimosa muffins. I would love to try some those dressings but unfortunately I don't get to buy them in Romania. Have a nice weekend and I'm waiting for new and stunning recipes! Dennis, I'm so intrigued by your ideas for incorporating this ingredient into muffins. I happen to love savory muffins, so I'd be more than happy to taste any of them. Don't forget that today is the deadline for Culinary Smackdown: Summertime Veggies. Please come over to my blog and comment with a link if you want to be included in the contest and so everyone from the Smackdown can find you. You inspire me with every post. I'm sure some of my bloggy friends would be happy to discover you as well. 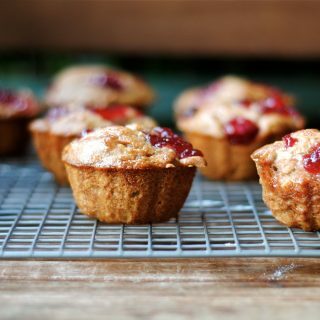 I would have never thought to use salad dressing in a muffin recipe…which is one of the many reasons I'm glad that we are blogging friends. I think the peach muffin was my favorite recipe of them all. Peaches are so good right now! And next time I'm in PA, I'm planning on finding time to make a visit to your school. Hopefully we'll get out there sometime this fall! the salad looks so beautiful!and the savoury muffins,wow,such a great idee! The salad looks so refreshing and inviting. I like those muffins, too!! What a great giveaway!! You are so clever! I'm not a baker either, but these savory muffin are something I'd love to try! They look outstanding. I also think that if someone makes such a good product why not use it and save some of your precious time! Dennis, this all looks wonderful!! I've made a version of tomato basil muffins for years- my Nonna loved them with summer minestrone! And the peach ones look awesome! I envy someone like you..to come up with those variations like you did…I love it! That is what I am striving to become 🙂 I was drooling the entire time I read your post..but the tomato basil muffin…oh, yes..I WILL be making these! Thanks for sharing. Great looking salad. What's not to like with all those summery Mediterranean ingredients? Great job on those muffins, especially for your first time. I love Bellinis! 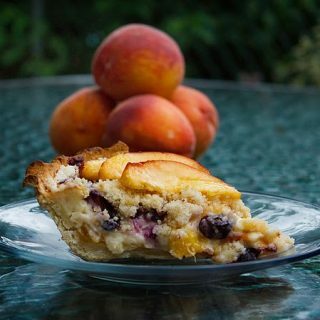 I usually make mine with the peach nectar, but now that peaches are in season, puree would be sublime. Wow! You got creative my friend! Those muffins look absolutely delightful! I'm totally in for the competition; I'm just not sure what I want to do yet. I'm going to stew on it and email you shortly. 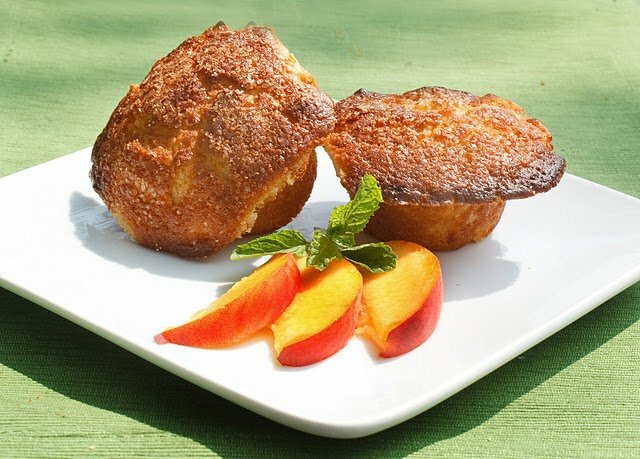 Oh man, those peach mimosa muffins sound amazing! Hey I posted my Girards post and giveaway today too! My goodness the muffins look good! I love the bellinis. I would drink prosecco/cava/champagne, etc every single day, if I could! I have a recipe in mind and will be sending you an e-mail. Out of curiosity, which is sweeter, the champagne or peach mimosa dressing? Wonderful summertime menu, love the muffins. I love how you think outside the box! My sister got married last weekend, and had a champagne flavored wedding cake. The champagne gave the cake a light pink tint, which went with her color scheme perfectly. I wonder if a cupcake or cake could be created with the champagne dressing? It'd definitely be an experiment I'd like to try! 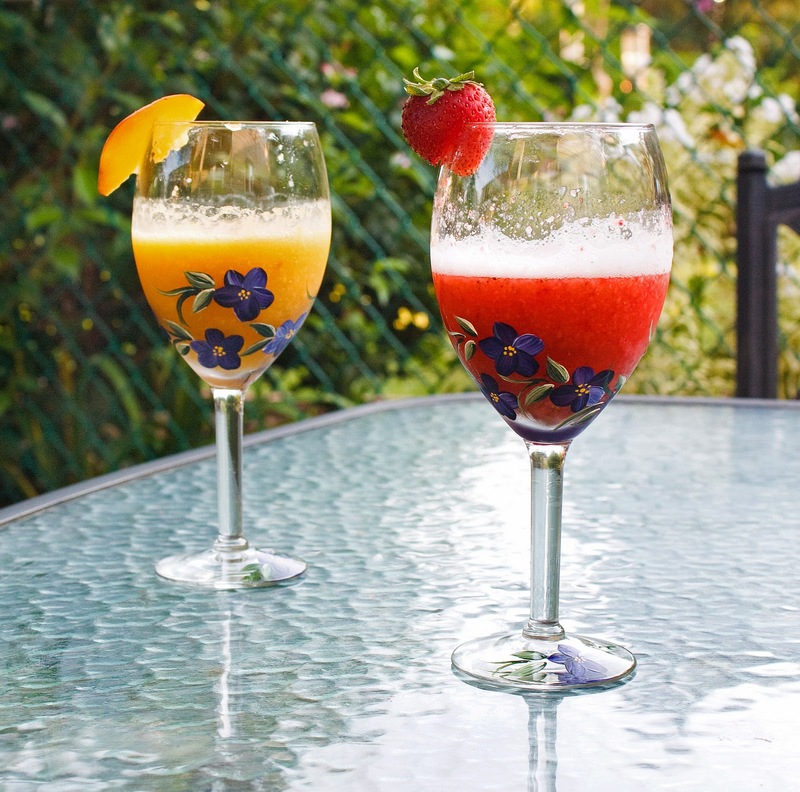 Peach Mimosa and Champagne dressings sound absolutely delicious as well as the summer salad. YUM! All of the dressings sound good and intriguing! I'll put on my thinking cap and perhaps submit my ideas!! Beautiful summer salad with fresh produce! 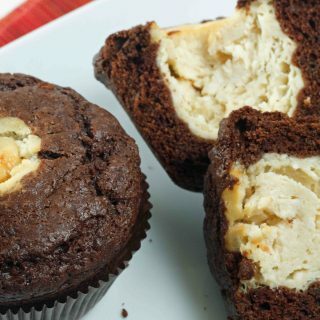 Like the idea of both a sweet and savory muffins (I heart muffins). Girards does have good dressings…I believe I tried the Caesar dressing. I would love to enter this contest! 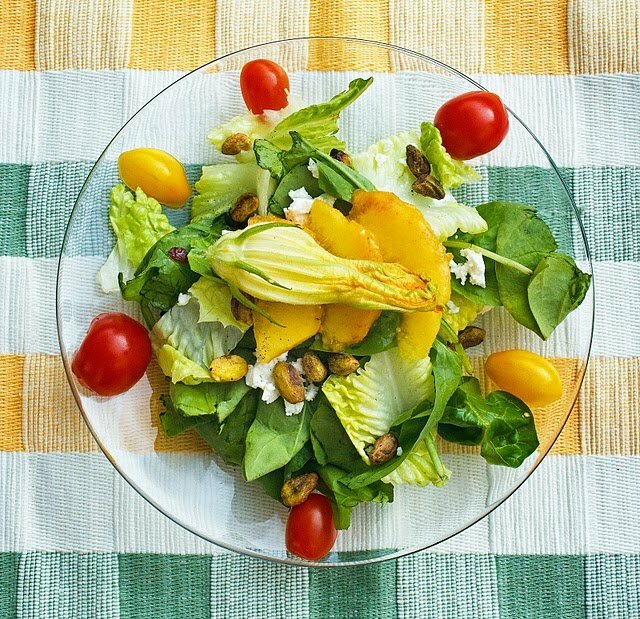 This salad looks so beautiful, especially the squash blossom. I love Girard's dressing anyway so this would be awesome to win! Wow, they definitely sent the sample of dressings to the right person. What a creative way to use bottled salad dressing. I would never even for a minute consider using it in baked goods-now, I would rethink that given the opportunity. Awesome! Your post was inspiring me to step outside my food parameters. Love it. I am not sure if I can be as creative as you, but I will try to think of something. Everything looks awesome. I'm loving the tomato muffins. YOu're very creative. What a beautifully and colourful salad! What a great post, who knew one could put salad dressing in muffins? Not me, that's for sure. Thanks for the tips and the review on the dressings. It all looks wonderful. You're So creative! Those muffins look delish! I am so impressed with the way your culinary mind works. The tomato muffins sound great…I wonder how they'd be with sun dried tomatoes and a bit of cheese, too. My garden is teasing me with a bunch of green tomatoes, but I dried last year's crop….Hmm. I would love to participate and will be sending you an email. The Tomato Basil muffins are just the best idea I've seen in a long time. Bravo! What a beautifully and colourful salad! 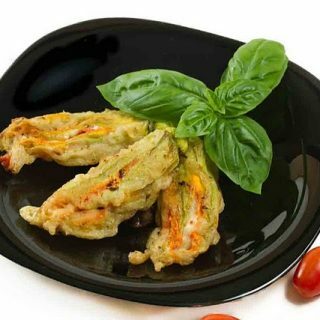 I love the use of a raw zucchini flower – I only think of them as something to eat battered and stuffed, for some odd reason. The savoury Tomato muffins also look like an interesting twist… I'll have to try those out sometime. I want a tomato muffin! I've never thought to use a dressing to bake with, Dennis, but it actually makes sense. Your muffins look wonderful too. Oh, and I've never wanted a bellini so much in my life. And that photo makes me want to sit right there in the pretty spot and drink one! p.s.-I'll send you an e-mail when I think of something to do…?